Well actually, I should say they were mostly a total hit. 4 out of 5 of us really loved them. So 80% of us. And the other 20% doesn’t know what he is missing (looking at you picky pants Mr 7). So I am taking it as a win. 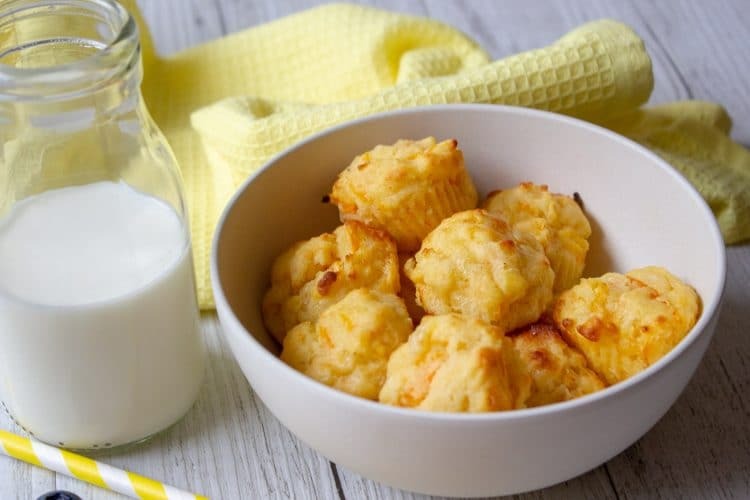 These Cheese and Carrot Mini-Muffins are perfect for making ahead and freezing too. After the muffins are cooled, pop the muffins in a large ziplock bag and freeze. You can freeze these for around two or three months. Do you love cheese? You will love these Easy Homemade Cheese Crackers! 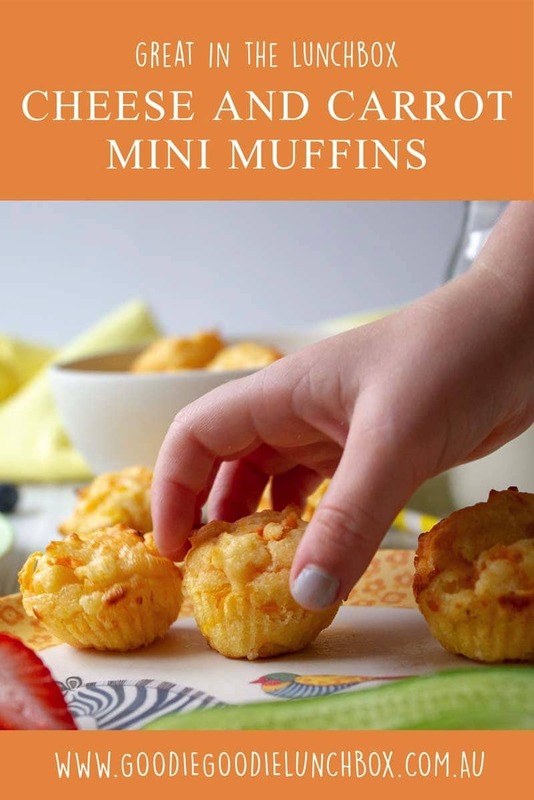 Or are you looking for more savoury muffins? 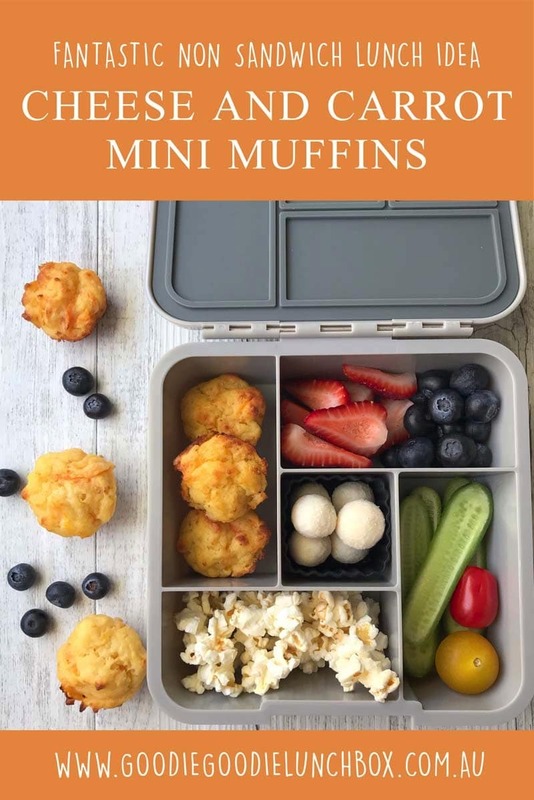 You will adore these amazing Roasted Pumpkin and Feta Muffins or these Cheese and Vegetable Lunchbox Muffins. 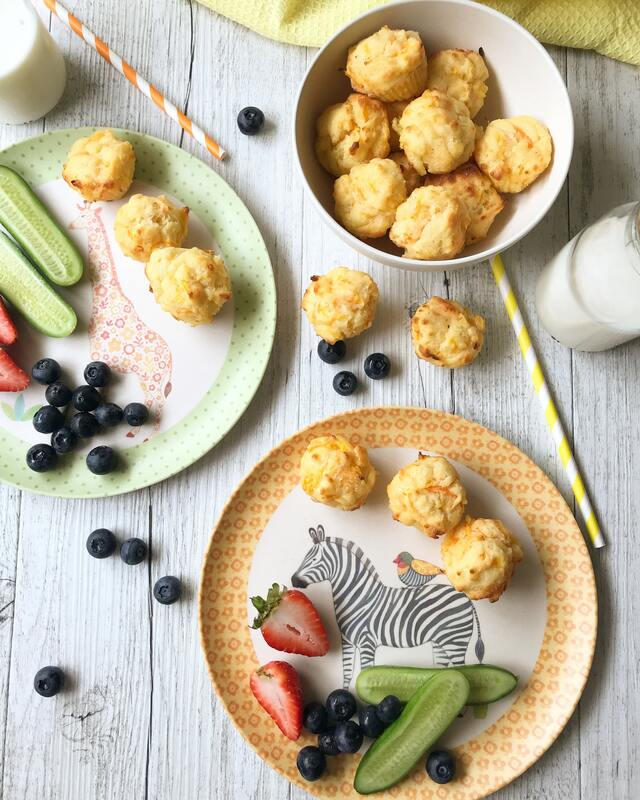 These Kid-Approved Cheese and Carrot Mini-Muffins are a delicious non sandwich school lunch idea. 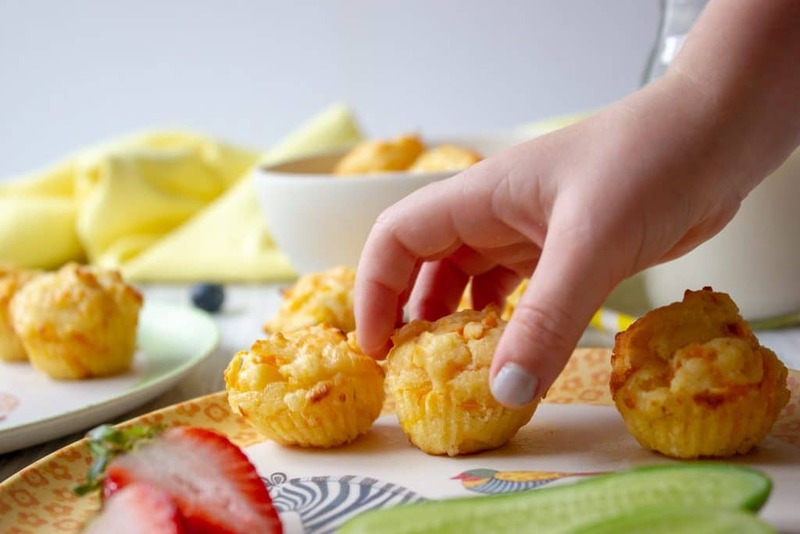 Bursting with cheese, one of these savoury Cheese and Carrot Mini-Muffins is never enough! 1. Preheat oven to 180c and thoroughly grease a mini muffin pan. 2. In a large bowl whisk together the ricotta, milk, oil and eggs. 3. Add in the carrot, cheese and season lightly salt and pepper (if using) and stir through. 4. Add the flour and mix together until just combined, taking care not to over-mix. 5. Spoon into the prepared pan and bake at 180c for 10-12 minutes or until lightly golden and a skewer inserted into the middle of the muffin comes out clean. 6. Cool in the pan for around 5 minutes before turning out onto a baking wrack. 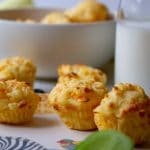 Due to the cheese, I find these muffins stick to the pan a little. To avoid this, it is important to grease your pan well. When you remove the pan from the oven carefully loosen each baked muffin from the side of the muffin tin with a knife which will assist to avoid sticking. 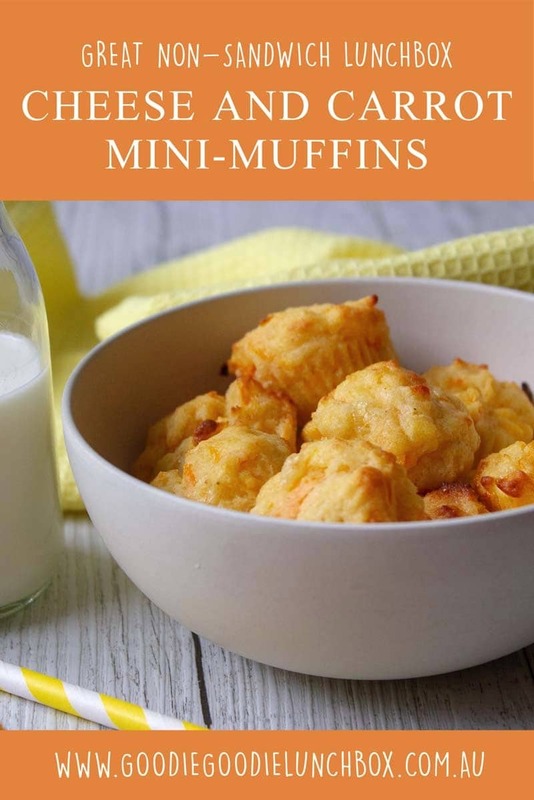 I am sure your kids will love these delicious Cheese and Carrot Mini-Muffins. Remember if you bake these, be sure to tag me on Instagram or post it to my Facebook wall. Can the ricotta be substituted by plain yogurt? Would it work if I make this with almond flour ?